Jowanza Adonis is currently a Residential Coordinator/Advisor and brings 11 years of experience in the field of mental health and working with student who have special needs. His duties at LDI include: working with students to maintain their independence through assisting and teaching ways to keep their residences clean, learning how to prepare meals and manage their funds. 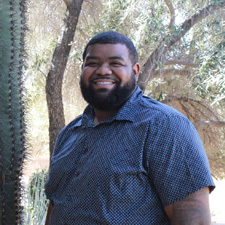 Born in Albuquerque, NM, but raised in Phoenix, AZ; Jowanza spent a year in Oklahoma for college to play football before returning to Arizona to complete his degree from Arizona State University where he received his bachelor’s degree in Psychology. His future plans are to continue with his education with the goal of completing his master’s degree in Counseling. Jowanza would like to continue working with individuals with special needs for many years to come as his passion in life is to help individuals reach their full potential in life.